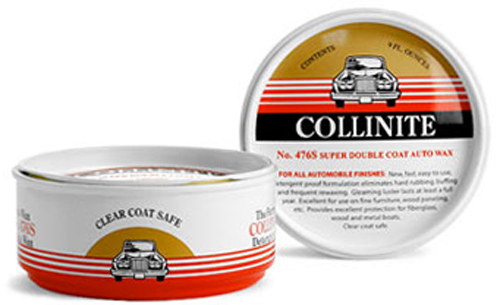 Home > Vehicle Waxes > Vehicle Waxes: Collinite 476S Double-Coat Paste Wax 9 oz. Vehicle Waxes: Collinite 476S Double-Coat Paste Wax 9 oz. Collinite Double-Coat Paste Wax is proclaimed by many to be the most durable paste wax on the market…. Leave a Review about Collinite 476S Double-Coat Paste Wax 9 oz. Vehicle Waxes: Rally Cream Wax 10 oz. Vehicle Waxes: Armor All Multi-Purpose Auto Cleaner 16 oz.